Finally, a celebrity baby I can see controlling me via an app in 30 years. The Unbreakable Kimmy Schmidt star, 35, made the announcement during a taping of The Tonight Show Starring Jimmy Fallon on Tuesday, April 13. According to a source, the funnywoman kept her pregnancy secret while filming the Netflix original series and only confided in producer Tina Fey. Kemper married her husband Michael Koman, late night writer and producer, in 2012. Despite my fears for the future, this is lovely news. 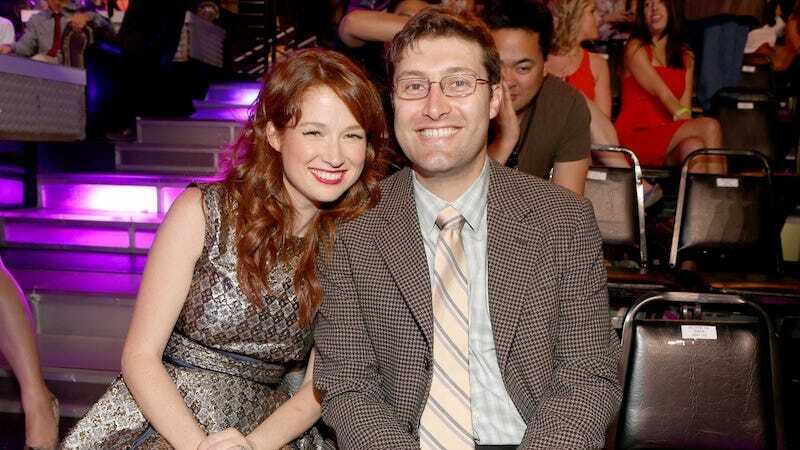 Honestly, Ellie Kemper is really nice. I have met her in circumstances when it would have been very easy for her to be mean. I suppose all circumstances lend themselves to cruelty if you’re determined enough, but really. Can’t wait for this little ginger to enter the world.